The sink keeps dripping, the toilet is backed up, the fuse blew…again. We’ve all been there. Stuff breaks. And we have fix it. While our natural impulse might be to call a professional to fix the problem, I challenge you to put down that phone. Why? Because there are several surprisingly easy home repairs you can do yourself. In a fraction of the time it would take to call a handyman, set up an appointment, and have them fix the problem, you’ll be done and on with your day. Not to mention, you’ve saved at least $100 in service fees. That’s always an added bonus! Are you ready to give this a shot? 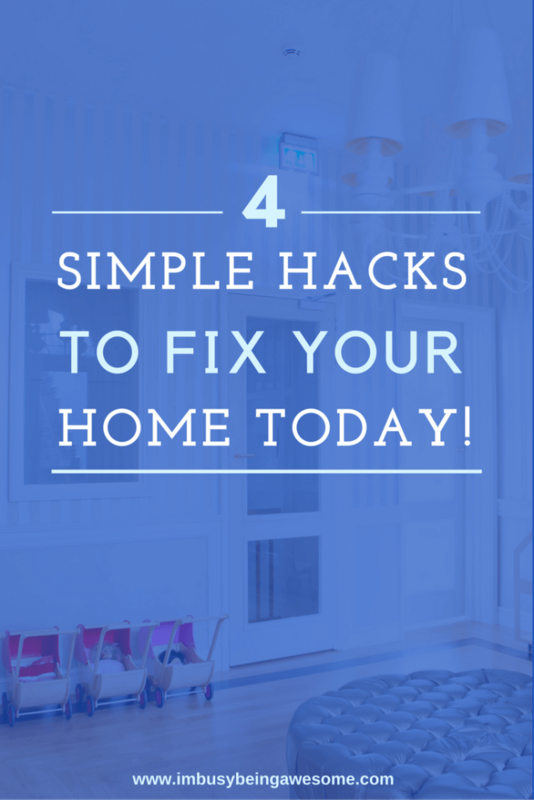 Then keep reading for four easy home repairs you can do yourself TODAY! I realize this task sounds super basic, but hear me out. I was inspired to start with the lightbulb because of an experience I had earlier today. It’s Thanksgiving in the United States, and we had friends over to celebrate. It was the first time they had been to our house, so I was showing them around. Please tell me you’ve been there before. Have you ever said to yourself, “I need to replace that lightbulb!” and then proceed to forget until the next time you notice it’s out? Hopefully I’m not alone here. Luckily, it doesn’t need to be this way. Changing the lightbulb is one of the simplest household tasks in the world. It is when you don’t have the right supplies that the challenge arrises. If so, here’s my suggestion to you. Take some time to order the “right” lightbulb for all the different fixtures around the house. Always keep at least one bulb in stock; this way you can’t use the excuse, “I’ll replace the bulb after I pick one up at the store,” because you already have it. Then, make sure you can reach the fixture. If you need a bit of a boost, Kogan has a great selection of step ladders to help you out. Then, just turn off the power, unscrew the old bulb, and replace it with the new one. Done. In fact, if you have the right materials on hand, this task fits well in my One Minute Rule strategy, which brings organization to your life in under 60 seconds. Who knew changing a lightbulb could do so much? I know, this is a nasty topic. And I absolutely get wanting to call a plumber when the situation arises. But I promise, this is also one of the home repairs you can do yourself. Again, the first step is supplies. Make sure you have a good plunger and some gloves before you tackle the project. Then, I recommend checking out this site. It offers seven simple suggestions on how unblock a toilet drain. In college I lived in a house with very finicky circuits. They seemed to flip anytime anyone touched a hair dryer. Though upon reflection, maybe it was the sheer fact that there were three women using these hair dryers… Hindsight is 20/20. Needless to say, I quickly learned how to deal with the circuit breaker. After you locate the box, open the door. You should see several different switches that look like light switches. Hopefully each one is properly labeled. It not, don’t fear. Usually when a fuse breaks, the corresponding switch “flips,” and it faces the opposite direction from the other switches. Simply flip the switch back, and you should be in business. Another one minute hack to save the day. If for some reason this does not solve the problem, I would recommend calling a professional. Electricity can be tricky, and it’s better to be safe. drip…Drip…DRIP! Does the sound of a leaking tap drive you crazy, too? You’re not alone. What’s more, a leaking faucet isn’t just annoying, it’s incredibly wasteful. And that’s not good for the environment or your wallet. Fortunately, there’s an easy fix here, too. Woohoo! Banish the sound of the drip by learning how to fix a leaking tap for good. Homehardware.com offers an easy six step process complete with an equipment checklist. You’ll be drip free in under 30 minutes. And that’s it! In 30 minutes your less, you’re on your way to well-lit and efficiently running home. 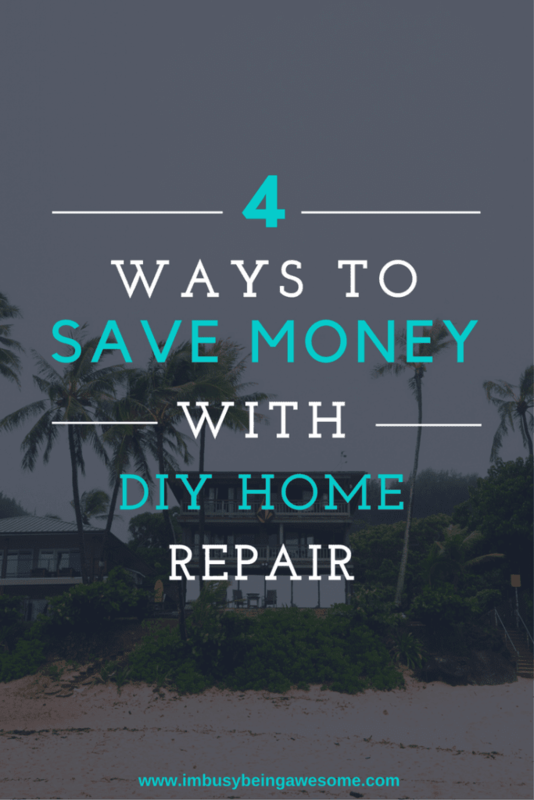 What are the home repairs that you can do yourself? What do you tackle instead of calling the handyman? Do you have any easy DIY hacks? I’d love to know! Let me know below. I’m not that great with DIY, but I think I could manage these ones! That’s a great tip about the light bulbs. We let them go out and don’t replace them for weeks. I’m gonna stock up on bulbs tonight! Ugh ME TOO! It’s so silly. Once I stocked up, it made a huge difference. Yes! 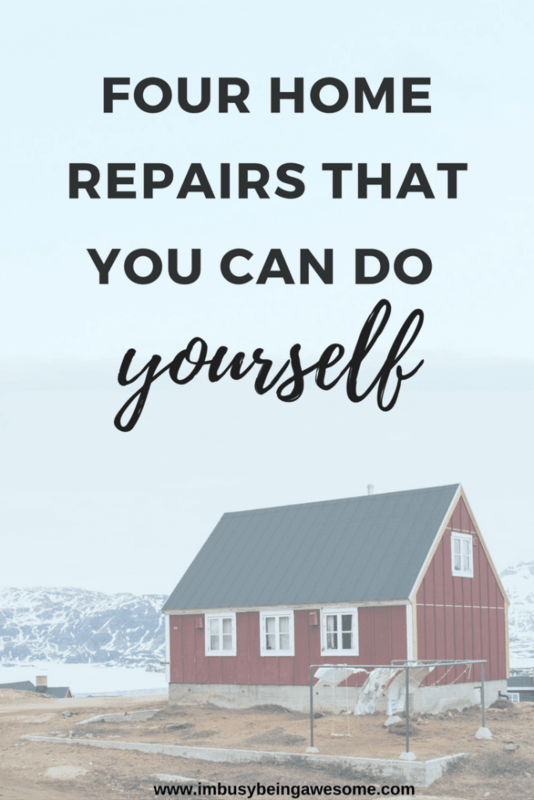 It is so easy to do basic repairs yourself! It’s also definitely worth taking a course on basic home repairs! That’s a great suggestion; I never thought to look up a course on home repair!